New Zealand Women extended their dominance in the Dubai 7s leg of World Rugby Sevens Series as they went on to defeat Canada Women 26-14 in the final on Friday. 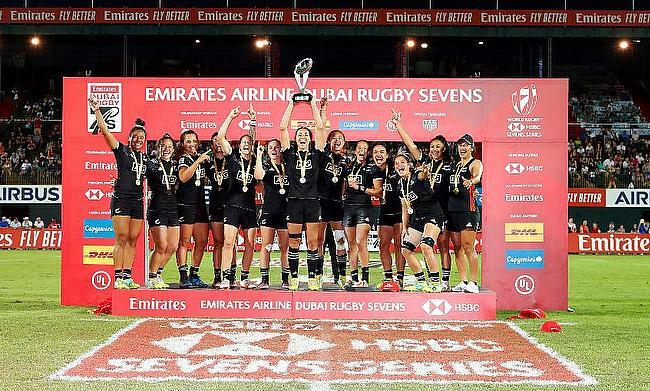 This is the fourth time in seven times the Black Ferns went on to claim Dubai 7s as they maintain their top position in the overall standings after winning the Glendale leg too. Theresa Fitzpatrick opened the proceedings for New Zealand in the third minute but Ghislaine Landry got Canada into the lead with a converted try two minutes later. Just as half-time was approaching, Tyla Nathan-Wong gave New Zealand the lead with a converted try of her own. New Zealand were quick to get off the block in the second half with a touchdown from Gayle Broughton but Julia Greenshields' effort in the 10th minute meant all three possibilities were on with the closing stage appearing before Nathan-Wong with a 12th minute try sealed a 12-point victory for the Black Ferns and the Dubai 7s title along with it. Meanwhile, Australia went on to win the Bronze after managing to edge out USA 21-26 while China went on to win the Challenge Cup final after beating Spain 12-7.